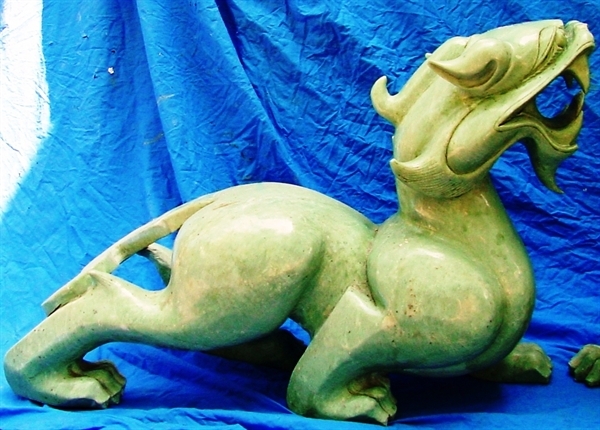 This is an Ancient Chinese Creature named Pixiu or Dragon. 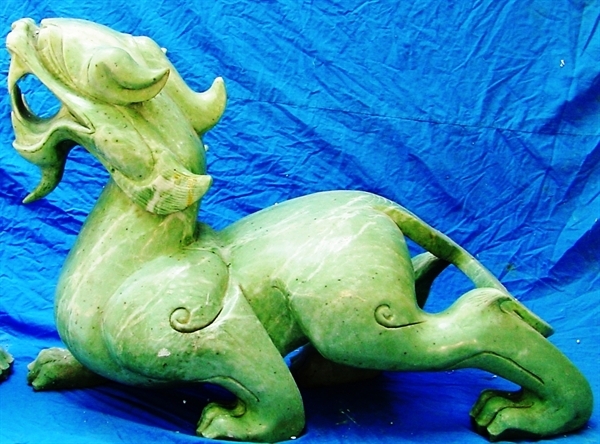 It is made from one solid piece of Jade. It appears light green with some area dark green. It is believed to change your feng shui and protect you and the family from bad things. Price here is for ONE PAIR.